I am a North Wales based cycling coach, coaching all abilities regardless of focus and location. 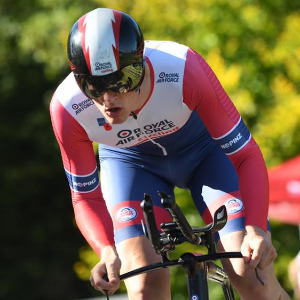 As a former national level road racer and time trialist, I know what it takes to compete at the top and against some of the best riders in the world. Now unable to compete, my focus is on developing others to reach their maximum potential. I have been a racing cyclist since the age of 13. Now 25, I have self coached myself to a national level standard, with numerous race wins along the way. In early 2019, I was diagnosed with an underlying genetic heart condition which meant my days of competing were over. Unable to leave the sporting community and with far too much knowledge that I couldn't let go to waste I decided to apply the principles of coaching I had learnt from self coaching to other athletes. Progressing through an ABCC coaching course to back my already extensive knowledge up with a recognised qualification I entered the world of performance coaching. As I am no longer able to compete, I get my kicks from seeing other improve and get the results they want. I believe that that coaching should be personal, so I take the time to get to know my athletes and jointly create a coaching plan that not only gets the most out of them, but also works around what can be a busy lifestyle. I had several years working in the bicycle industry and can offer a myriad of advice on components and technology based on personal experience. Success. Coach Ryan Morley has been notified of your message.